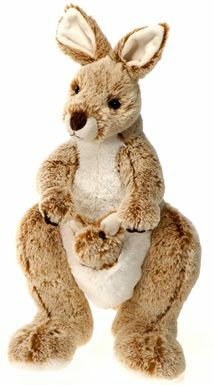 Kangaroos are marsupial animals that are found in Australia as well as New Guinea. They can hop around quickly on two legs or walk around slowly on all four. Their legs are so powerful they can jump sometimes three times their own height! Baby kangaroos are known as ‘joeys’.